We have all been there…A full car and struggling to find space for our gear in the trunk. 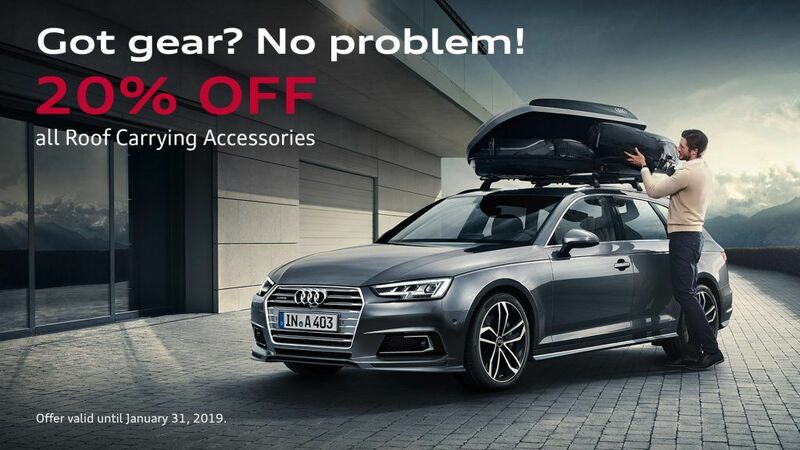 For January Pfaff Audi will be promoting ALL roof carrying accessories at 20% off! A roof box is the ideal, and most secure way to carry your gear on a road trip. Or transport your bicycle up top instead of taking the wheel off and fumbling to get it into the trunk.